Baseball, hot dogs, apple pie … and the Fourth of July! Coming right up! While Independence Day is a favorite holiday for most of us, it can be traumatic for our animals! The 5th of July is always one of the busiest days for Animal Control and the local shelters, as lost animals are turned in, searched for and cared for. Be prepared by planning to keep your dogs and cats safe during the holiday. 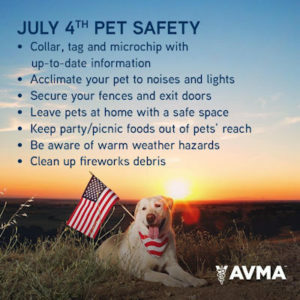 Find a quiet, secure room for them to stay indoors, play music to help drown out the sound of fireworks and in the event that your pup or kitty do manage to bolt out the door, be sure they have a sturdy collar with tags and are microchipped (don’t forget to keep your information up to date with the microchip company!) If your dog gets way too anxious, talk to your veterinarian about medication to calm them down, or try a Thundershirt (available at the Ukiah Rainbow store). The innovative Thundershirt works by applying a gentle “hug” to the dog’s torso and has been proven to significantly calm more than 80% of animals who try it! 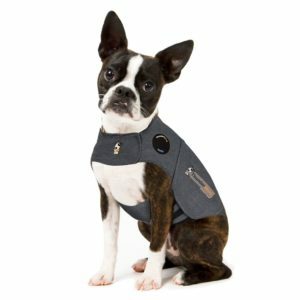 The Thundershirt is safe, easy to use, drug-free and backed by science! The ThunderShirt was even studied and recommended by Dr Temple Grandin. Learn more at http://www.thundershirt.com/scientific-support. For Microchipping, check out the VIP Community Pet Clinics every Saturday at both Rainbow Ag stores. Need Alfalfa? There’s only a few days left in the Spring Alfalfa Sale at Rainbow. Fresh Alfalfa Hay is only $14.99 per bale! Order and pay for quality, 3-wire bales of alfalfa during the sale June 18 through 24th and pick up your hay any time before July 22. 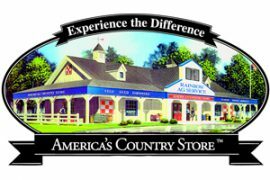 Sale ends June 24, so hurry in to either Rainbow Ag store! 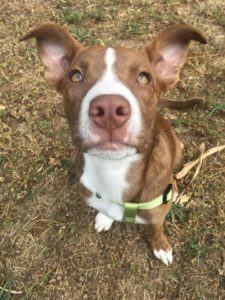 Our local Mendo Shelter Pets Rescue has been instrumental in providing for pets and their people after the Mendocino Complex Fires last fall. Recently they were involved with distribution of a donation of pet food from Rainbow Ag, using half for MSPR’s dogs and cats (MSPR is an all-volunteer organization, and the animals are with foster homes) and donating the other half to the Mendocino Fire Complex donation center. MSPR is always in need of donations, and there is a donation bin for them at the Ukiah Rainbow Store, or you can donate through their website. 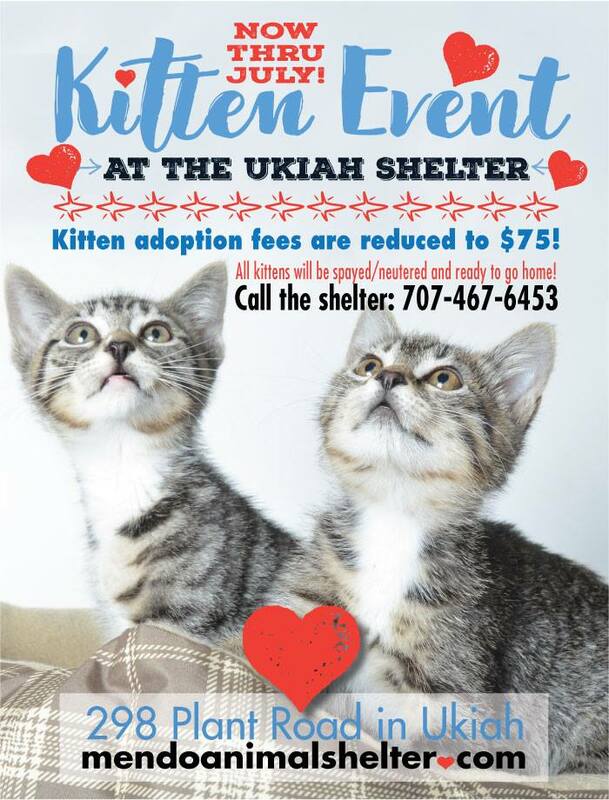 The Humane Society of Mendocino County will be holding their annual Open House and BBQ on Sunday July 15, 2018, at their headquarters at 9700 Uva Drive in Redwood Valley. Join in at 1:30 for the Supporter Appreciation Day BBQ and Summer Raffle. There are lots of great prizes to win! Ms Trivia Person will be on vacation – so Wags Trivia will be back next month! See you then, and in the meantime, get a new toy with this month’s coupon and play with that pup, or kick back with your kitty! The May Winner is Michele Briggs, with the correct answer that Foxtails are common here on the West coast, but unusual on the East coast! This entry was posted on Tuesday, June 19th, 2018 at 3:00 pm	and is filed under News, Rainbow Wags Newsletter. You can follow any responses to this entry through the RSS 2.0 feed. Both comments and pings are currently closed.